Okay, first of all I have to say is I love the saying "shake a stick at" even though it sounds very violent. But I have to tell you, there are were so many tablets at the show I probably could have used a stick to ward off all the people hawking their tablet offerings. And many people showing a tablet really couldn't tell me why I should choose their tablet over an iPad on depth and breath of content, Kindle Fire on price, the range of form-factors by Samsung or the Asus Transformer Prime on pure horsepower and potentially it's docking keyboard. I guess it is nice to have a range of competitive offerings to keep pricing in check but for the most part there were way too many companies with tablets. The good news I guess as some of these people fall out with each new wave of introductions, they will probably be selling their excess inventories at below cost and there could be an opportunity there? First of all, I am still sticking with my BUY AN IPAD position featured in my "No idea why someone would buy any tablet other than an iPad" article from back in August 2011 for those of you looking to get a great tablet for your couch or late-night web-surfing. 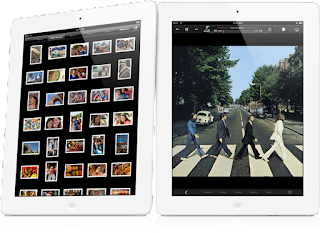 My only caveat is that I am expecting a new version of the iPad to be released in the March/April 2012 timeframe and you should wait for that one if possible. Fujitsu Arrows Tab gets credit for having one thing their competition didn't have. The tablet is waterproof! They even recommend for use in the kitchen or while in the bath tub! Okay, this is not a game-changer but at least they did something. Otherwise, it is a 10.1" dual-core Android, features a fingerprint sensor for easy unlocking and Dolby front-facing speakers. The CPU is definitely under-powered at 1ghz and the Android operating system seems to need more power than that for smooth, everyday operation. The Lenovo IdeaTab S2 10" tablet was an attractive tablet offering that stood out from many of its competitors. It runs Google's latest edition of Android, has a very robust 1.5Ghz dual core processor and features the easiest to use keyboard dock solution we have seen, similar to the current marketing leading Asus Transformer Prime but seems to snap into place a bit smoother. The IdeaTab S2 is one of the lightest tablets on the market at 1.27 lbs and measures only 8.69mm thick. 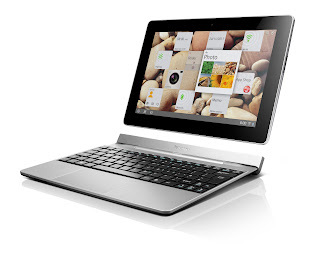 The keyboard doubles the devices battery life to nearly 20 hours as well as adds a USB and SD card reader port. 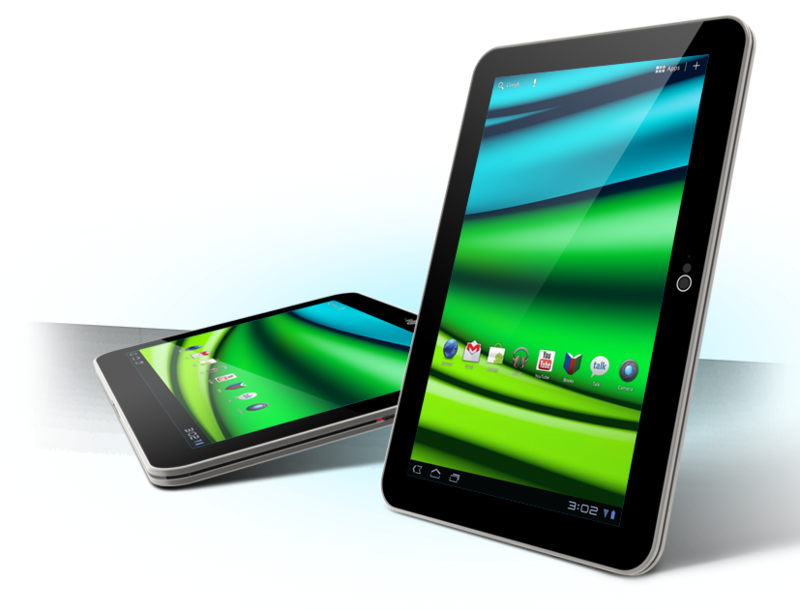 Overall a nice tablet and offers a range of configurations including 3G and up to 64Gb of memory. 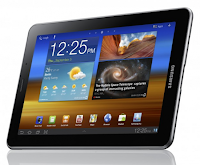 Samsung Galaxy Tab 7.7 LTE is an update to one of the original Google Android tablets. The name helps you understand this is of the 7" variety that kinda falls between the larger 9"/10" category and smartphones with their 4"-ish sizes. The new Tab 7.7 has three things going for it. 1) The display is one of Samsung's Super AMOLEDs which are absolutely gorgeous to behold. Bright and vibrant is underselling how this screen glows. 2) It comes with Verizon's 4G LTE connectivity which is fast. 3) The 7" form-factor is more convient for hauling around if that is important to you. 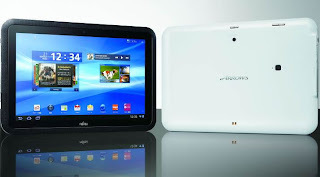 The size can also be a liability if you are looking for that extra real estate that the 10" tablets can provide. Toshiba Excite X10 gets points for quickly changing direction on some key aspects of their tablet offerings from last year. I won't go into detail but last year's model was a beast. Way too thick and heavy. The Excite goes to the complete opposite end of the spectrum where Toshiba claims to have delivered the thinnest and lightest 10" tablet. After holding pretty much every version of tablet on the planet over the past week, I'm going to agree the 1.2 lbs., .3mm thick tablet is bordering on almost too thin. It almost disappear when held to the side. It is also amazing that such a device also includes some of the most physical port connectivity of any tablet on the market today including a USB, a micro-HDMI and a SD card slot! All in all...a very nice package. The tablet is currently sporting last year's Android operating system but Toshiba is indicating they may ship as is and offer an upgrade later. The technology inside the Excite X10 is only a dual-core but it can accomodate Google's Ice Cream Sandwich. 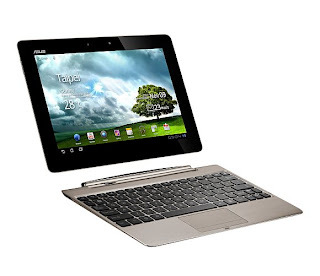 Asus Transformer Prime TF700 was probably the technological tablet marvel of the show. The new version features a 1920x1080 resolution Super IPS+ display versus the 1280x800 resolution of the one that just started shipping. The enhanced resolution is expected to provide for much cleaner and crisper text and smoother visuals overall. Obviously the new stunning display combined with already the leading tablet solution on the market including the Nvidia Tegra quad-core processor for lots of processing power makes for an extremely attractive offering later this year. The rear cover has been reworked to address issues with wi-fi and GPS that proved to be a problem with the original. We are assuming the new version keeps or improves upon the existing 8 mega-pixel rear-facing camera and understand the front facing cameras is updated to a 2 mp version. The Prime also features a MicroSD slot and Micro HDMI output. Other details are less clear but we'll keep our eyes peeled for information as we get closer to its launch. Rumor has it launching within the next 6 months. There is a far bit on consternation from those that already just bought a device and less than 6 months later it is being obsoleted by a much nicer version. 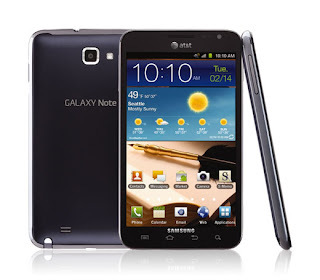 Samsung Galaxy Note was probably my favorite tablet-ish device at the show. I say "tablet-ish" because the Note is of a new 5.3 inch format. Noticeably bigger than a smartphone, can be held in one "big" hand and can be put in a coat pocket and the like. Another great addition is the included "S Pen" which looks like a traditional stylus except is offers 256 degrees of pressure sensitivity allowing for a whole new level of interaction with your device. Ink on your notes or drawings on the screen can change based on the pressure you apply. Push harder and get a bolder, thicker like for highlighting text or for marking up your documents. The device does run an older operating system (Gingerbread/Android 2.3) but all-in-all this was a really different product and nice based on my initial interactions with the device. The device also features the eye-candy HD Super AMOLED display technology from Samsung and AT&T's 4G LTE connectivity. Apple's iPad 2 was not at the show in official form but it was VERY well represented by halls full of accessories across all different consumer electronic categories. If you walked around at CES you would understand why I am still strongly advocating the iPad. I am talking about Apple's AirPlay compatible devices like speakers, AV receivers, routers and televisions linked up to an AppleTV. Docks, stands, portable chargers with Apple's connector and don't get me started on cases! Now I am still advising that you wait until the rumored iPad 3 gets announced in the coming in roughly the next 60-90 days. But the iOS eco-system of peripherals and apps dwarves the competition and is the only viable solution in the tablet marketplace today unless you have a very specific application or use that one of the other tablet solutions provides. 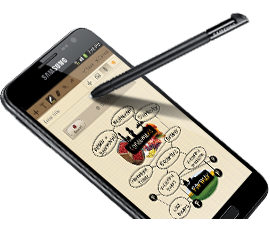 An example is the unique size form-factor of the Samsung Galaxy Note or if you want to take a shower with your Fujitsu Arrows Tab. 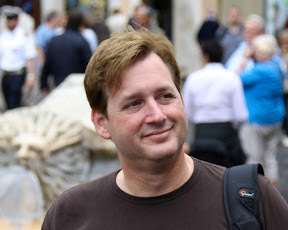 I should mention that there is a slew of new Ultrabook (very small and lightweight) laptops that are leveraging the innovations in the shrinking of electronic components for tablets and smartphones into a laptop form-factor. I will cover laptops and their innovations in another piece but there is this category that starts blurring the full PC operating system based solutions with these tablets while tablets move the other way with keyboards and the like. Both platforms have unique advantages and you'll need to evaluate based on your needs which route to go but it does get tricky here in the middle. I'll do a piece in the near future trying to describe this blurring in better detail. The Microsoft 8 tablets will be coming out later this year and show a fair bit of promise. I'm holding my judgement until I can have some more time to play with one for a while. I am intrigued by the Metro interface and if Microsoft can get the hardware and application support, it might start bridging the gap from tablet to PC. More on this as they get closer to launch. One-Tablet-Per-Child is the One-Laptop-Per-Child organization's latest effort to develop solutions for economically challenged countries. 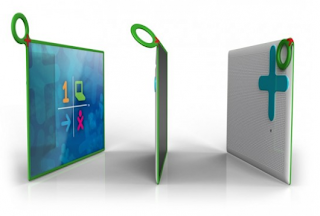 This solar powered tablet for children is in development but looks very promising for helping to get educational and informational solutions to the farthest reaches of the globe. While still in development, the goal of this extremely worthwhile product effort is to make each tablet for around $100. Quite a worthy cause and great concept!